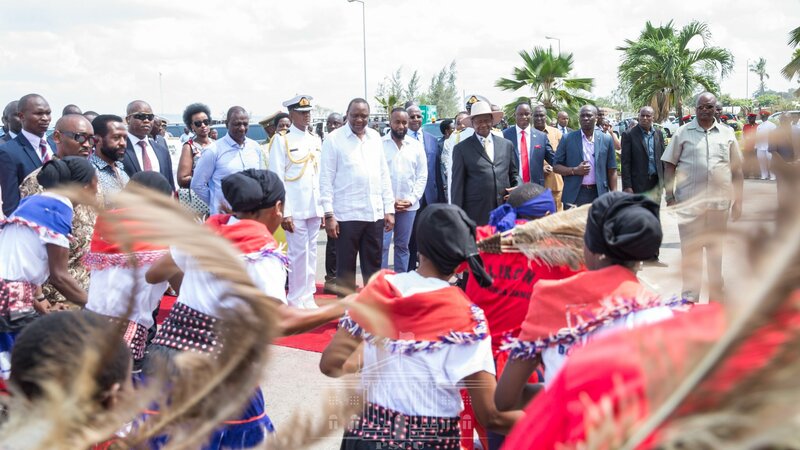 Kenyan President, Uhuru Kenyatta (R) with Uganda's President Museveni (in hat) upon the latter's arrival in Mombasa on Wednesday. 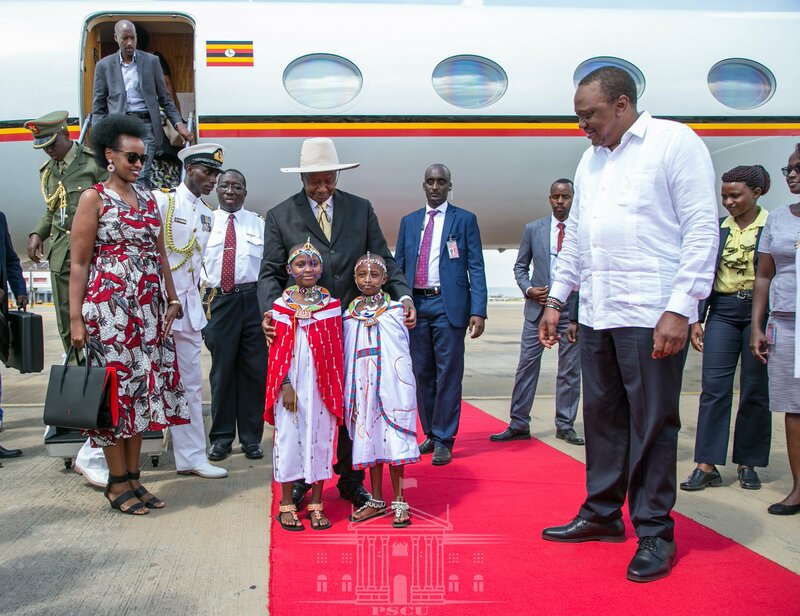 President Yoweri Museveni has Wednesday arrived in Kenya’s coastal city of Mombasa, for a three-day state visit, according to the Presidency. 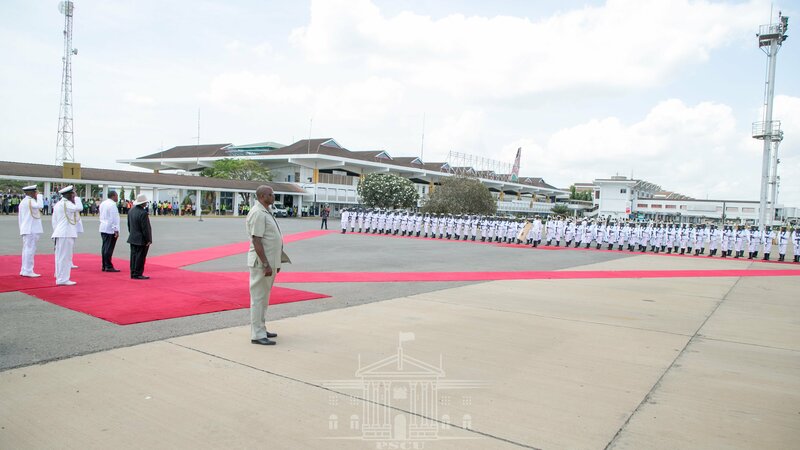 Museveni is in Kenya for a State visit during which he will hold bilateral discussions with Kenya’s President, Uhuru Kenyatta. 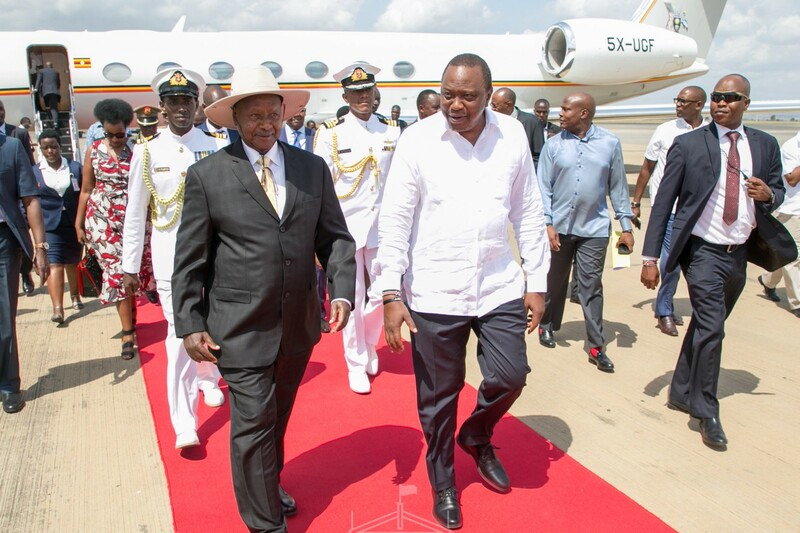 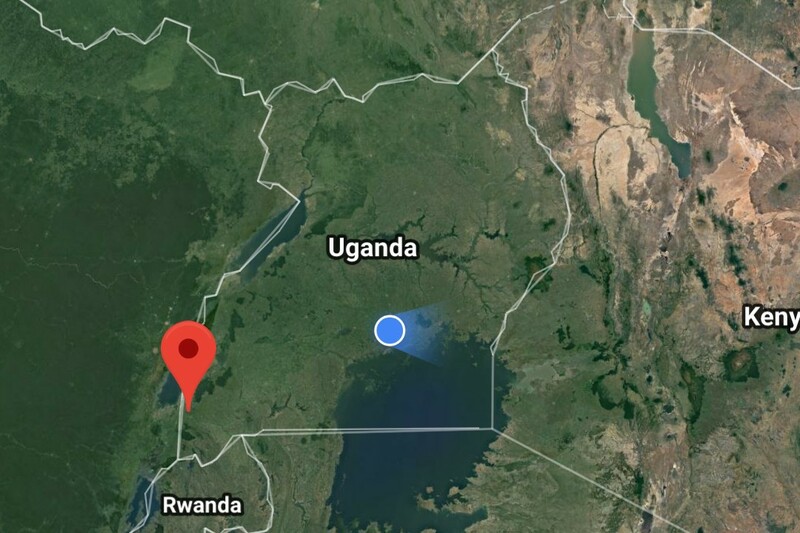 Museveni connected directly to Mombasa from South Africa where he had been attending the SADC Solidarity Conference on Western Sahara. 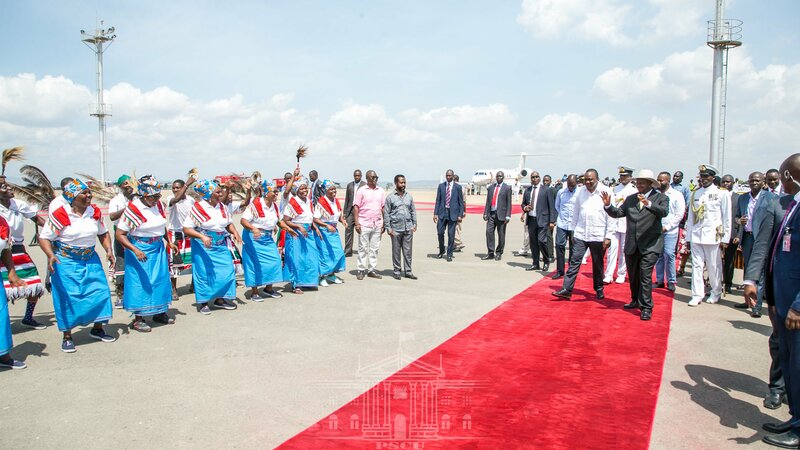 On arrival at Moi International Airport in Mombasa, he was accorded a full State reception including a guard of honour mounted by a detachment of the Kenya Navy and a 21-gun salute. 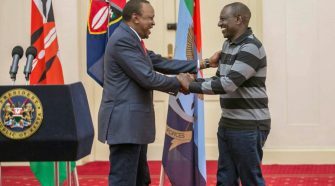 He was welcomed by Kenya’s deputy President William Ruto and Mombasa Governor, Ali Hassan Joho. 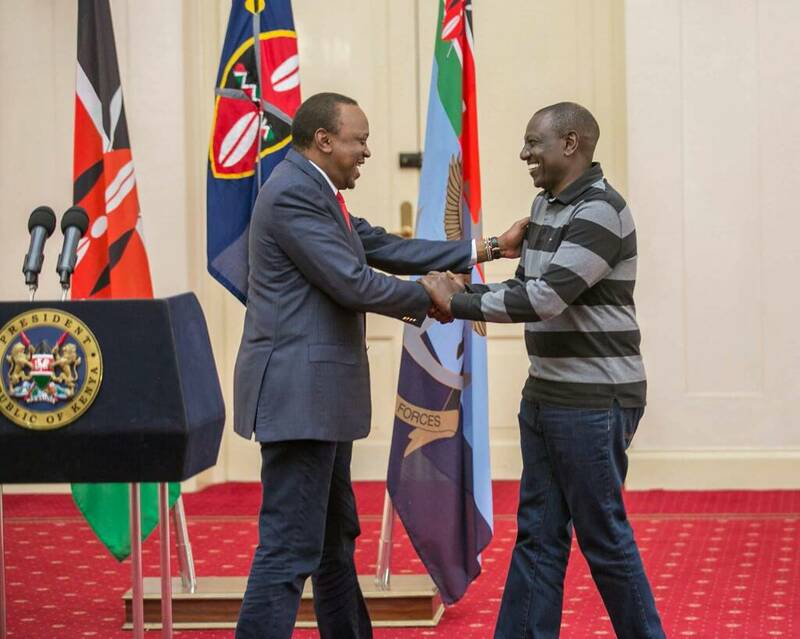 He later met with President Kenyatta at State House Mombasa. 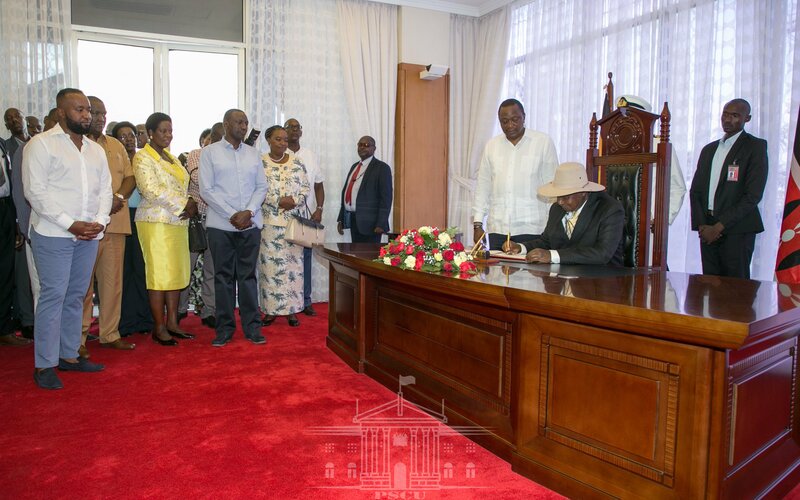 According to a tweet posted on Museveni’s Twitter, discussions will focus on strengthening the two countries’ social and economic ties. 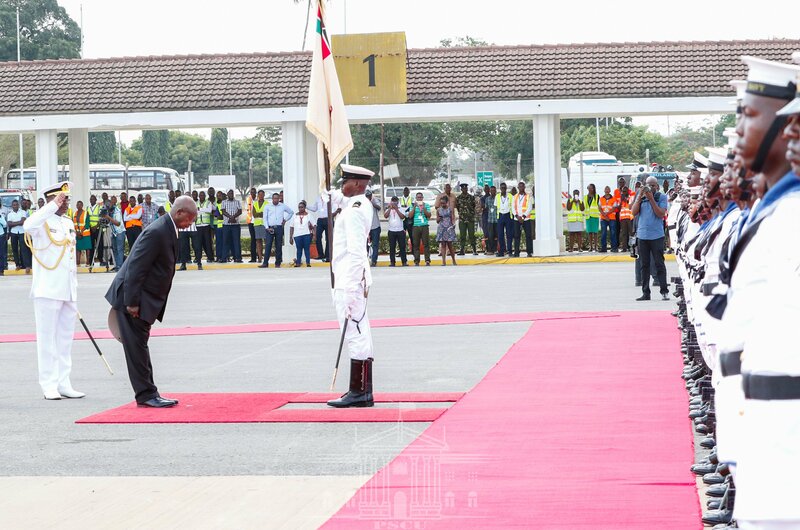 “Arrived in Mombasa, Kenya this morning for a three-day state visit on the invitation of His Excellency Uhuru Kenyatta. 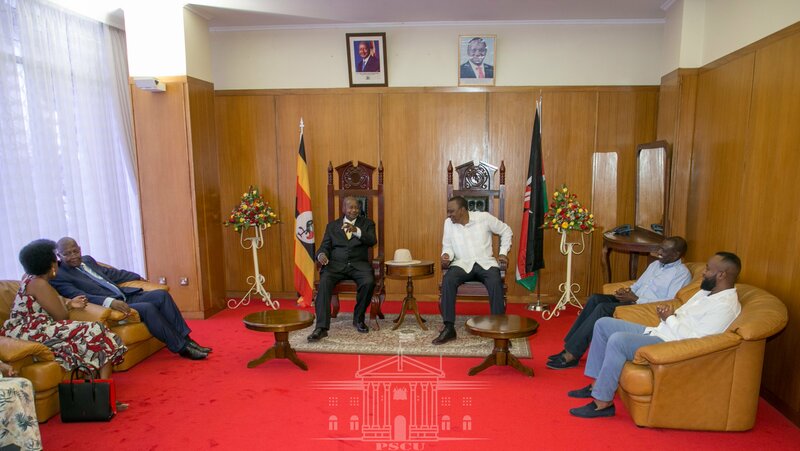 Our discussions will focus on how to strengthen our countries’ political, social and economic ties,” Museveni tweeted on Wednesday. 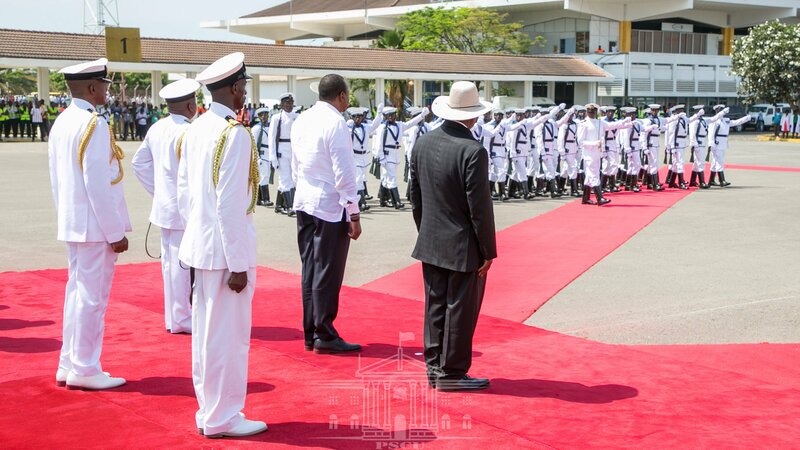 Museveni is accompanied by Uganda’s Minister for Foreign Affairs, Sam Kutesa and Natasha Karugire, the daughter to the President. 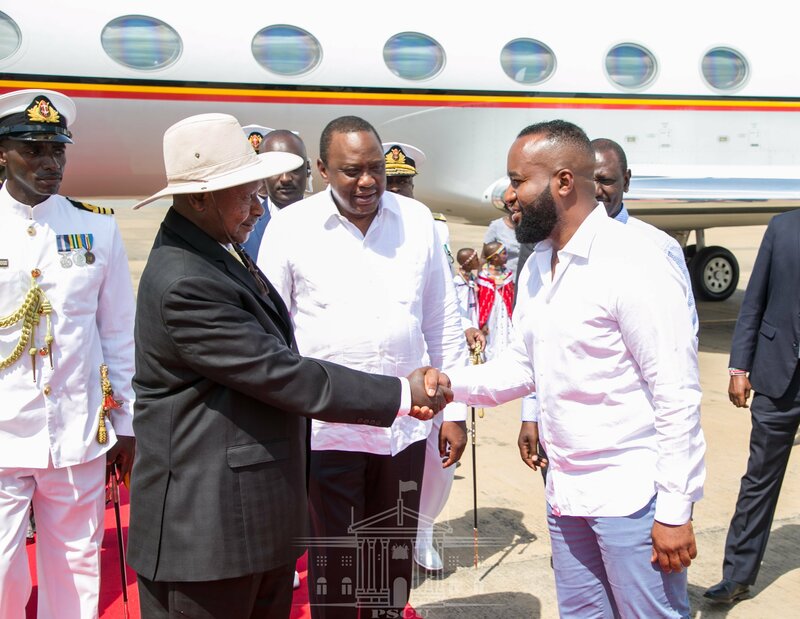 The visit comes two weeks after President Kenyatta paid a courtesy call on President Museveni at State House, Entebbe in Uganda and the two leaders discussed issues of bilateral interest to the two countries.